Attractive Apple body shapes often have a bust that is larger than their hips and are well proportioned, but tend to lack definition at the waist. Finding a flattering silhouette is often about creating balance so, if that sounds like you, look out for the following styles. 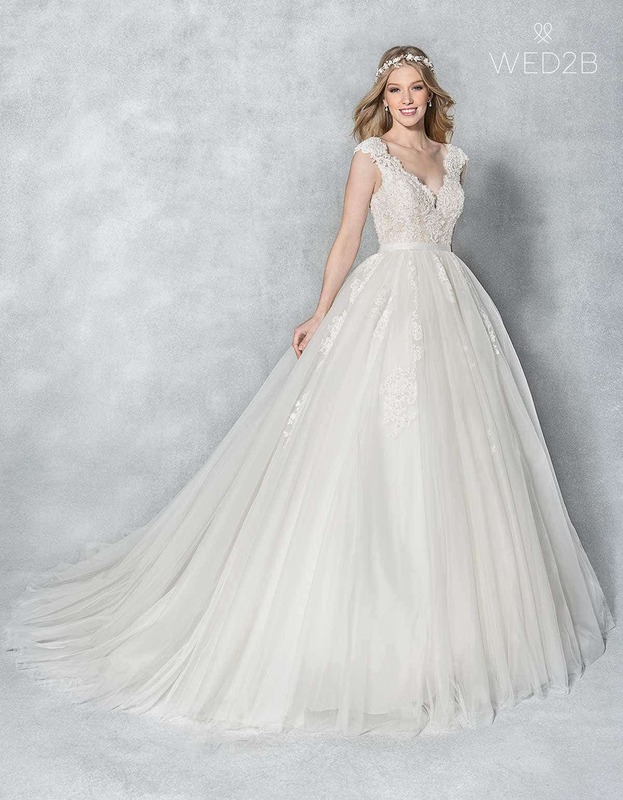 Princess-line gowns and panelled A-lines are often a good choice, as these styles will create a subtle curve around the bust area. A corset style that finishes high on the waist but then cascades out into a ruffled, pleated or ruched skirt is also good, as it highlights the waist and distracts from the tummy area. Watch out for corseted styles that sit lower down as they can cause your tummy to bulge out underneath. Also avoid halter necks and heavily decorated or off-the-shoulder styles, which add weight to the shoulder area and create an imbalance. And remember, good supportive underwear is key to a dress fitting well. Not sure of your shape? If you're generally in proportion then read more on the classic hourglass shape but if you're pretty much in line you could be a ravishing rectangle. Our in-store style experts have pulled together a selection of their favourite styles below, just for you apple-shaped lovelies. Have fun! 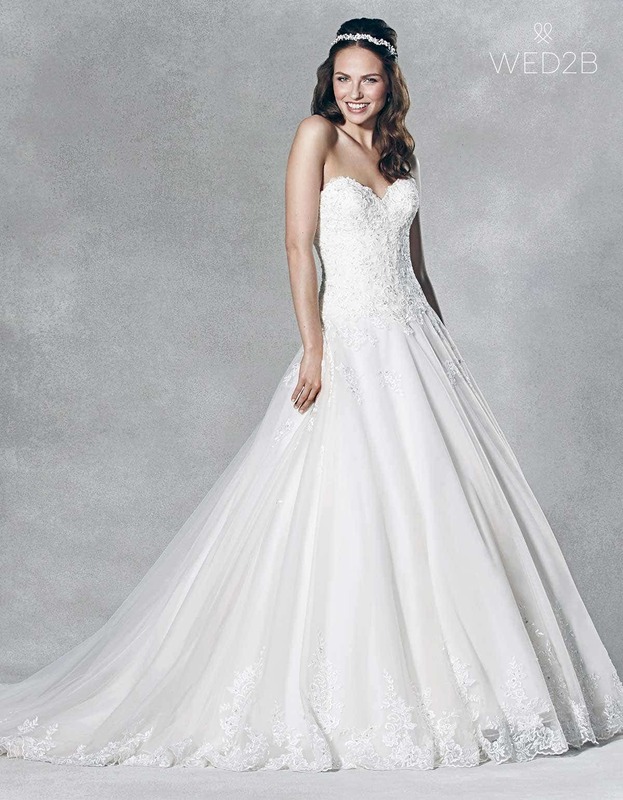 This fabulous A-line gown is perfect for apple-shaped figures. The lace-up back gives incredible waist definition while the gently flaring bodice, covered with beaded lace, flatters curves. 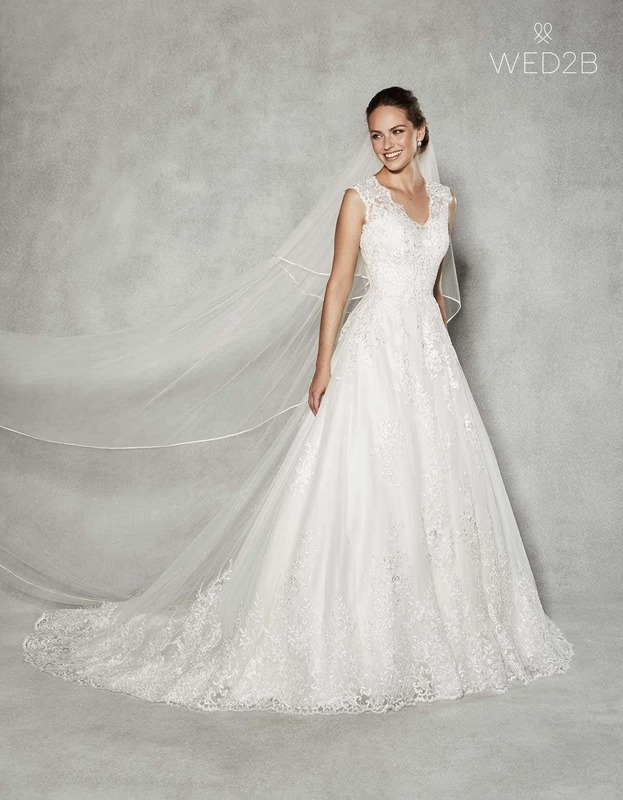 A true timeless classic, this lace A-line dress is an elegant choice for your special day. 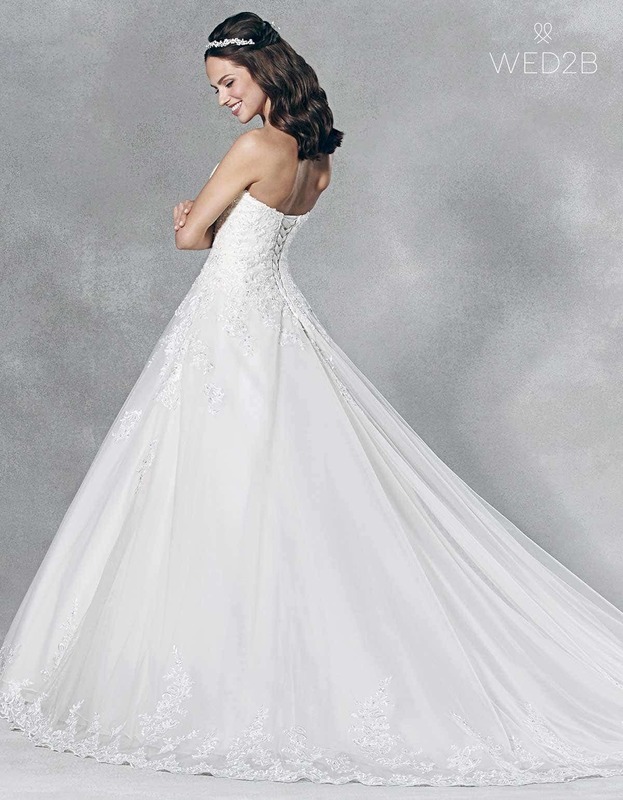 We just love the button back detail and the beautiful lace skirt that fans out softly from the waistline. This sensational ball gown is princess-worthy perfection. 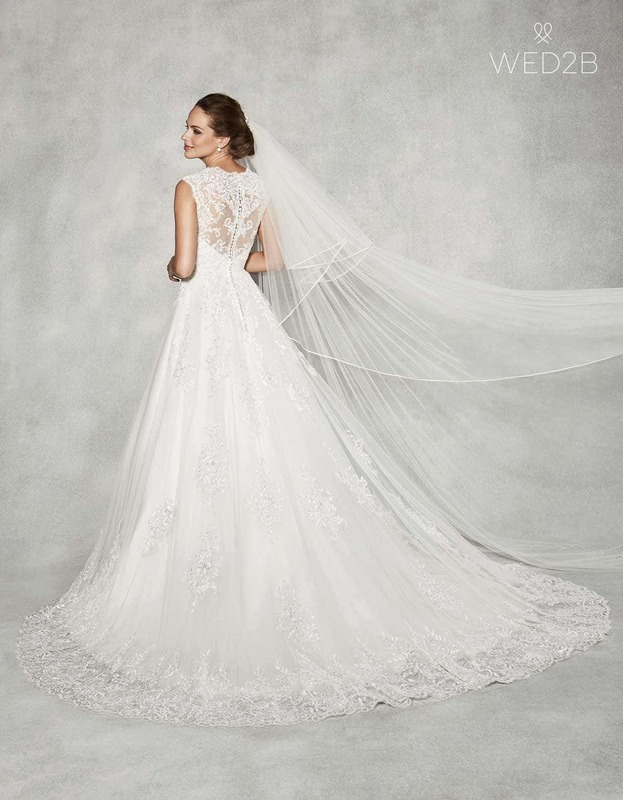 It creates a beautifully high, nipped in waist before cascading out in layers of decadent tulle.